8th October 2015 – iambassador, Royal Brunei Airlines, Sabah Tourism and Good Relations PR are very proud to announce that the #LoveSabah campaign has been shortlisted as a Finalist at the Travel Media Awards in the category ‘TRAVEL MEDIA INNOVATIVE CAMPAIGN AND CONTENT OF THE YEAR’. The #LoveSabah campaign was launched in November 2014 to promote the Malaysian state of Sabah as a weddings and honeymoon destination. The partnership with Sabah Tourism and Royal Brunei Airlines marked a step change in the marketing strategies of the two brands, recognising the increasing influence of bloggers in shaping travellers’ perceptions around destinations and airlines. 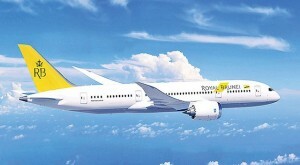 The campaign saw six world-leading travel, lifestyle and wedding bloggers visit Kota Kinabalu and Brunei with Royal Brunei Airlines. The bloggers shared their experiences in real time via social media, driving engagement and awareness of Sabah’s great diversity of attractions. In the following months, a wide array of online content was produced, including 35 blog posts and videos, photos, a cinematic quality video and an ebook. The campaign generated 52 million opportunities-to-see across Twitter, Facebook, Instagram, Pinterest and Google+ in a period of two months (source: Brandseye.com). The #LoveSabah team included bloggers Sarah & Terry Lee of LiveShareTravel, Niamh Shields of Eat Like A Girl, Becky Padmore of Global Grasshopper, Abigail King of Inside the Travel Lab, and Elizabeth Muhmood Kane of Bridal Musings, as well as videographers Nicolas Libersalle and Lea Amiel of Story Travelers, supported by the broader iambassador team. The Travel Media Awards are a new press awards celebrating the very best of the travel media sector. 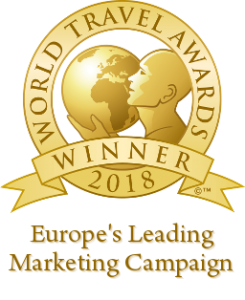 The awards were created in recognition of the hugely influential role that today’s travel media play in the holiday or business travel decision-making process. Open to all travel writers, broadcasters and photographers, the Awards are importantly not aligned to any Association or Guild, resulting in no barriers to entry. As such the Travel Media Awards will be a true barometer of the travel media sector. Submissions will be judged by some of the UK’s most influential travel industry figures alongside leading travel writers and editors. Categories cover a wide range of disciplines and media, from national newspaper travel sections, with separate categories for tabloid and broadsheets, consumer travel magazines, both national and regional, travel trade titles, the increasingly influential travel blogging sector and travel guide books to list just a few.